Papa Johns’ founder John Schnatter will step down as CEO following an intense backlash sparked by his criticism of NFL players protesting the National Anthem. The company’s president, Steve Ritchie, will take over as CEO. Schnatter sparked controversy in November when he slammed NFL leadership over the ongoing national anthem protests. Schnatter has moved away from public political discussions following the Obamacare controversy. The CEO donated $1,000 to President Trump’s campaign but did not make any effort to publicly support the politician. 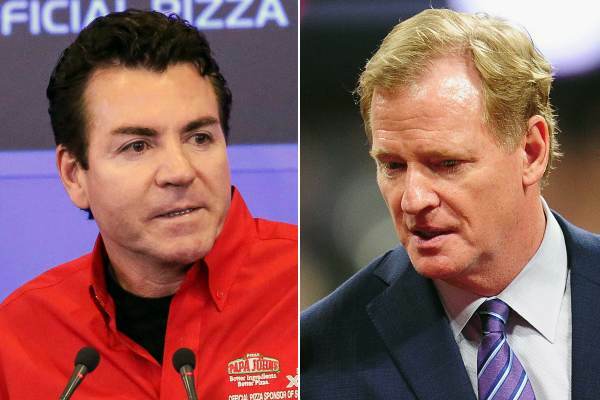 Papa John’s recently warned the NFL their sales are down this year during NFL games. In November, Papa John’s told the NFL they were pulling ads from the games. The consumer sentiment is too negative. Pizza chain Papa John’s announced Wednesday that it is pulling its advertising associated with the NFL, according to ESPN’s Darren Rovell. The pizza entrepreneur is stepping down after speaking the truth. Millions of Americans are furious with NFL players’ decision to disrespect one of the country’s most sacred past times — respecting the National Anthem. Something tells us this isn’t the last we’ve heard from Schnatter.